A wise person once said that everyone wants a long life, but no one wants to get old. Yet there are rewards to maturing, like wisdom and more free time for family, hobbies, or travel. At Boulder County Smiles in Lafayette CO, we know there can be a down side, too, like missing teeth. Fortunatley, they can be replaced with dental implants that are nearly as good as the real thing. Missing teeth are one of the more common issues for older citizens. At Boulder County Smiles, we can restore missing teeth with dental implants. Dental implants are titanium posts that are inserted into your jaw. A single implant can suipport one artificial tooth. Multiple implants can support a set of dentures. 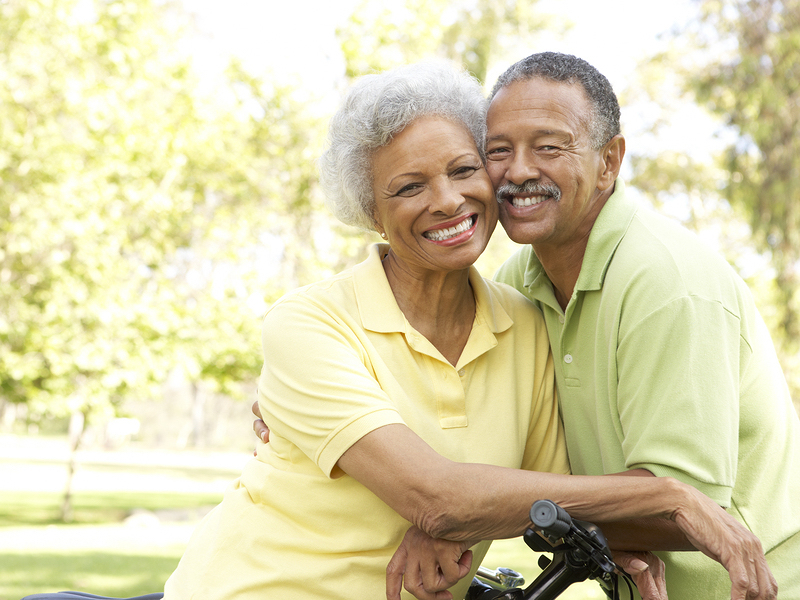 Dental implants help active seniors look as young as they feel. They are strong, natural-looking, and function like real teeth. Restore the youthful smile you once enjoyed with permanent dental implants. Avoid denture disadvantages: embarrassing slipping, limited taste, and gum irritation. Dental implants are not just for youthful smiles, they keep your facial shape intact by maintaining jawbone structure. At Boulder County Smiles in Lafayette CO, dental implants are among our specialties – whether it’s a single implant or implant-supported dentures. We also offer general and family dentistry. Schedule your next checkup with us today. The condition of your teeth has a big impact on your quality of life. Denture wearers understand this all too well. The path from a healthy mouth to a toothless mouth is downhill. 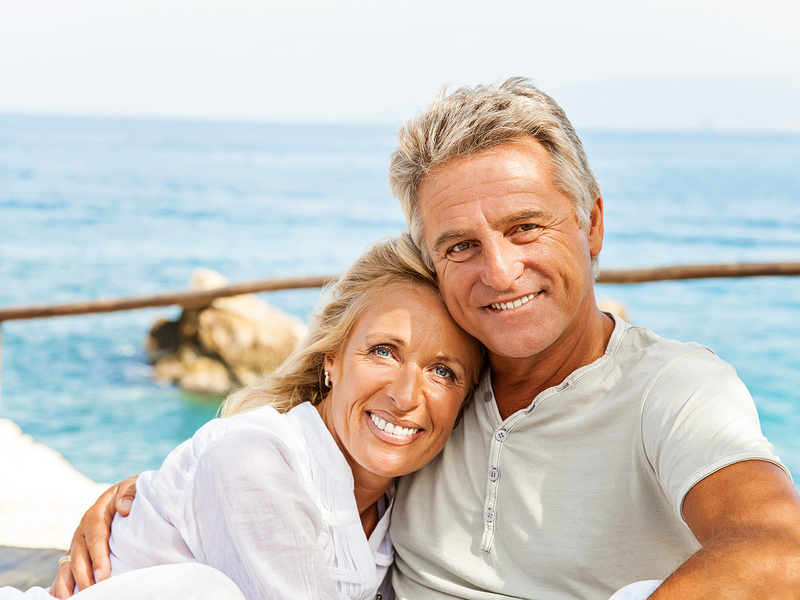 Denture implants from Boulder County Smiles in Lafayette CO can make an enormous difference. While dentures are better than having no teeth at all, they certainly come with drawbacks. They can irritate gums and make breathing, eating, tasting food, talking, and laughing difficult. And they’re not a once-and-your-done solution for missing teeth. As the jaw shrinks, they call for relines. But there is reason for hope! Dental implant technology can improve the quality of life for people who have been wearing traditional dentures. To a certain extent, implants stop the downhill progression of declining oral health due to tooth loss. Dental implants can be used to replace one tooth, to anchor overdentures. Mini dental implants (also called denture-stabilization implants) allow us to securely an appliance that won’t slip or irritate gums. Small titanium posts (the actual implants) are inserted into the jawbone, and in time fuse with the surrounding bone, creating a secure base for an overdenture. Did you know that some denture patients retain only ten percent of their chewing capacity? 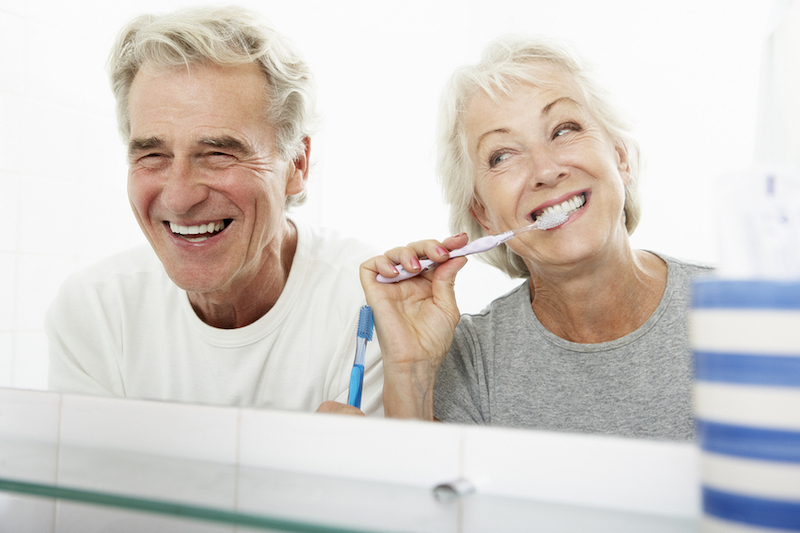 Denture implants can curb bone recession and restore near-normal chewing ability. Improved chewing function with implants can result in better nutrition and overall physical health and well-being. Denture implants are among the services available at Boulder County Smiles in Lafayette CO. We provide general and family dentistry, and have sedation options. Call to schedule an appointment today. If you have chipped or cracked teeth, or are missing one or more of your teeth, cosmetic and restorative dentistry from Boulder County Smiles may be just what you need. We offer multiple ways for you to keep (or regain) your ability to eat, drink, speak, laugh, and smile with confidence. Porcelain veneers offer a relatively cost-effective approach to cosmetic adjustments – uneven color, size, or shape. They are thin ceramic shells bonded to the front of the teeth. They upgrade unsightly, but structurally sound teeth. A dental implant is a titanium post that is surgically implanted into the patient’s jaw. A tooth restoration goes on top of the post. Because they are physically attached, they prevent bone loss. Best of all, they look and function like natural teeth. For patients who have lost most or all of their natural teeth, there are several options in dentures. Traditional dentures are removable, and rest on top of the gums. Implant-supported dentures are anchored to dental implants and are more stable than traditional dentures. Schedule a consultation with Boulder County Smiles in Lafayette to find out more about cosmetic dentistry. We also provide general and family dentistry, and treat sleep apnea.